Chest minecarts are no longer being filled by hoppers above them (was working in 1.9). Hopper minecart do still work though (but probably because they are sucking the items in and not relying on the hopper above them). 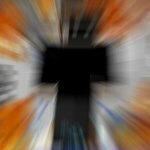 Bash your head on your keyboard and call it "pvp". 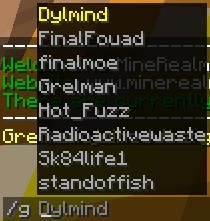 The gamerule mobGriefing is already enabled. Alright, further changes have been made. Let me know if it's now fixed. Armor stands and shulker boxes are not protected on private land. Not sure what is happening but the server has been have some lage spikes on my part. I did multiple speedtest and checked for any inconcistencies on my end, there were none.. Maybe something has started to hog the server's resources? I and some others have noticed some bugs/unintended behavior during the last months and I thought I'd list them here after neglecting to mention anything about them for a while. 1.) Since we updated to 1.13 I've noticed that water won't break crops like wheat, potatoes, carrots, and beets. 2.) The spawning of non water passives like wolves, llamas, parrots, polar bears, and ocelots seems broken as neither I nor anyone have seen these mobs spawn in years. The same is more or less true for other more common passives as well. 3.) 1.13 has added a command suggest functionality that is constantly popping up and overlay of players names when using a /g, /m, or /b command to chat. It is very annoying. I dont know how easy this would be to fix, but if it could go the way of the dinosaurs we'd really appreciate it. Here is an example of the overlay that pops up of names which used to only show up only if you hit "Tab" but now reappears with every word you type. And tall grass won't break when you break the block beneath it.